Danish retail chain, JYSK, pronounced ‘yusk’, has today (January 2) announced the launch of its third store opening in Bur Dubai. 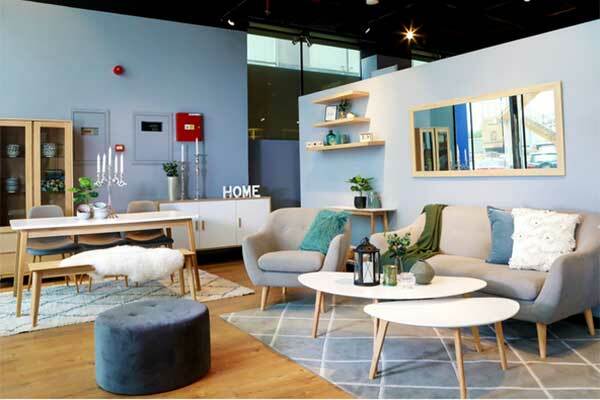 Following the hugely successful opening of its debut location in Umm Suqeim in early 2018, as well as City Centre Mirdif in August, the Scandinavian homeware pioneers will be offering consumers even more choice with its largest launch to date, a statement said. Burjuman JYSK will house the brands favoured products from bedding, sofas, garden furniture and an array of textiles, accessories and everyday essentials – at competitive prices, as well as catering to passers-by with J Café, its on-site eatery located within the in-door patio area. The new outlet, which covers a vast 20,000 sq ft, will boast the brands sophisticated sleep centre, where customers can test and purchase everything from pocket spring mattresses, memory foam pillows and adjustable bed bases. The famed Temprakon bedding, which has already proven a huge hit here in Dubai, has been recognised by NASA as a ‘certified space technology’ as it regulates the body temperature throughout the night. Jens Ravnbøl, founder of the Mercurius International Group, said: “We are delighted and incredibly excited to announce the opening of our third JYSK store here in the UAE. It’s extraordinary for a brand to open three stores in the same year and we’ve been overwhelmed by the positive feedback we’ve received since the launch of our two previous outlets.